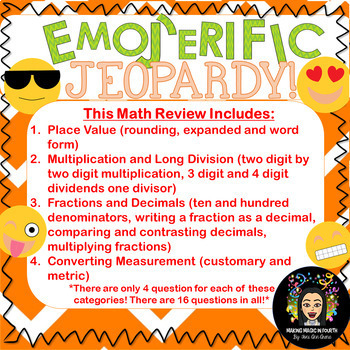 Math Review: Emoji Jeopardy Game! 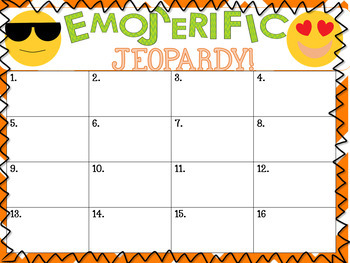 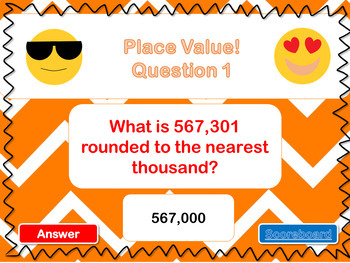 Engage your students with this fun EMOJI based jeopardy review game. 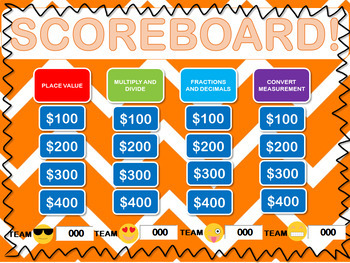 Teams are based on different emojis!